and You Can’t Figure Out Why? 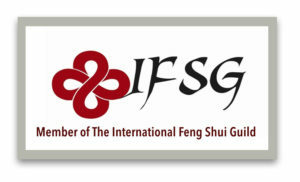 Feng Shui Services is a professional Feng Shui consulting and training business. We offer a range of Feng Shui and Holistic Environmental Design services. We serve clients throughout the USA, Britain, and Europe. Top companies around the world are using Feng Shui with great success. When correctly applied, Feng Shui can have a transformative effect on productivity, morale, and profit. The bottom line is... it will help give your business the edge! Feng Shui is especially helpful in the process of buying or selling property. Do you have an uncertain feeling about a pending real estate transaction? Are you stuck with a property that will not sell? Will LeStrange discovered the power of Feng Shui, when, as a teenager, he was seriously injured in a near-fatal accident on his family's farm. The near-death experience led him on a 10-year journey of healing, recovery, and spiritual breakthrough. As a young man, he traveled the world studying indigenous building traditions, working at numerous community development projects, spiritual centers, and Eco-build projects. He is the creator of the Modern Feng Shui Method, Arrange Your Space for Success and The Seven Stages of Holistic Alignment, innovative systems which integrate environmental psychology, Integrative healthcare, kinesiology, eco-build, personal development, with interior design and traditional Feng Shui. Will helps clients all around the world and has had the honor of providing his services for The Dalai Lama. Our second home had been a "wreck-with-potential" when Will took on the job, and it became a house featured on the UK property TV program 'Location, Location, Location' (it won this contest!). Will is a well-read, educated man and a true artist. He is a great listener - I would recommend him without hesitation in almost every application of his impressive talents. Spent a fantastic day with Will at our new location. He was amazing. Extremely insightful to both the facilities and myself and team members. Really helped me "dig in" and get very clear about my focus, my opportunities and more. I highly recommend Will to anyone that understands the importance of a holistic balance, spirituality and health and well-being of your business. Working with Will is an amazing experience. I’m a true believer in Feng Shui. Over the past eighteen years, I have lived in three homes. Each home was chosen very carefully to meet the changing needs of my family. Each time Will LeStrange played a major role in helping us find that “special place” where the Feng Shui was right for all of us. Will, I can't thank you enough for your time this weekend. Paul and I were enlightened, inspired and felt truly liberated from the consultation. We haven't stopped talking about our experience. We can already feel a difference in the home. I'm so grateful that you opened our eyes to these opportunities. There are many different approaches to the practice and application of Feng Shui. Some are very scientific, some are spiritual, some superstitious and some rooted in good old common sense. Over the last twenty years, we have tried and tested many different Feng Shui techniques and processes. We feel that we have a pretty deep understanding of what works and what doesn't. Will has developed an innovative, approach that draws from the most relevant aspects of traditional Feng Shui, coupled with useful techniques from Modern Environmental Psychology, Color Therapy, Holistic Healthcare, and Sustainable "Eco-build" practices. This is an integrative and Holistic approach and one he calls The Modern Feng Shui Method and it offers a powerful framework for lasting positive change. And How it Can Help You in Your Unique Situation! We genuinely love to help people and promise this will not be some unpleasant sales pitch! During the call, Will LeStrange will share some immediately actionable tips to get you started, plus you will get a clear feeling if he is the right person to further help with your project.